We had two major updates in rapid succession, so I'll be posting them both here. 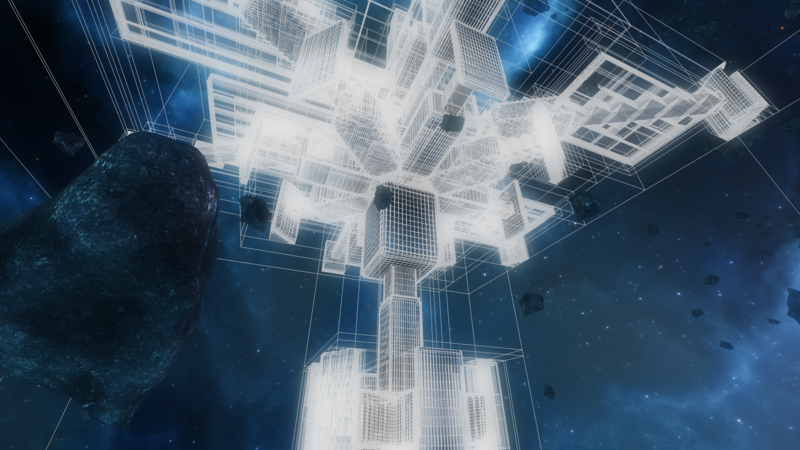 PlateMeshes: 90+% complete in the LT core. As discussed last week, I emphasized building a release-quality implementation since they became an invaluable tool in LTC++. I now have a high-quality, fast, C library implementation of all of the old PM functionality with the exception of rotation of individual plates. I will need to spend a bit more time in order to finish that bit efficiently, but the rest of the work was by far the bulk. Frankly it required more time than I would have liked, but all of that time was spent adding supporting functionality to the core in order to efficiently support a good PM implementation. The good thing about this kind of time is that it's "permanent progress," as is all progress of the LT core (which is, as a reminder, designed to be the 'etched in stone' part of the LT engine). Mesh 'Warps': 20% complete (I figured out how to do them). These are the things that allowed me to distort models in cool ways that added curvature and interesting global features to ships and stations. Unfortunately, their implementation in C++ using all that fancy (and incredibly-nasty) template stuff I used to do made it fairly easy. I had some trouble figuring out how to do the same thing effectively in a clean, C API (i.e., making it easy to build warping functions from LuaJIT). I've designed the implementation, about which I'm pleased. I haven't coded it yet. Interestingly, solving this design problem brought me insights on how to make reference-counting work cleanly across API boundaries (for example, to enable both the core and LuaJIT to hold pointers to the same object and still have all memory management work correctly). I've not had this insight before, but when the time invariably comes that I need to do this (beyond warps, which will require it from the get-go), I now know how to do it painlessly. Networking & 'Control Panel': 100%/90% complete (server/client), and completely new to any of the LT engines! Yes, this is where about 2.5 days of my time went this week, but it's a technology investment that I'm betting will pay dividends. 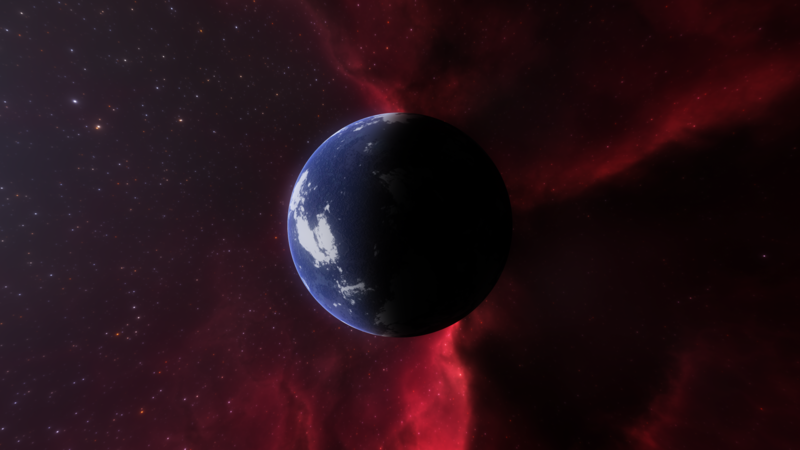 While working with planets, it occurred to me that I would really like a UI for changing the procedural algorithm parameters in real-time to see exactly how they're affecting the final result (with complex procedural algorithms it can be very difficult to reason about the effect of individual parameters). I didn't want to spend a huge amount of time building something just for this task, though, so, inspired by a friend at LTP who does web development, I decided to use a tool that already exists and is very fast and easy for creating quick UIs: the modern web browser. This necessitated networking functions in the LT core, which I had promised I would provide for modders who want to attempt 'multiplayer LT' mods anyway. So, I implemented a multi-platform TCP & UDP socket API, then used it from LuaJIT to spin up a very simple HTTP server run by in the background by the engine that serves up a simple control panel webpage when connected to via a browser. It can change internal engine variables automatically in response to controls like sliders or buttons being changed in the panel. Though I'm hoping the ability to connect to and communicate with the engine via networking will pay substantial dividends over the remaining development time, having the control panel available is already really helpful: I have a really easy way to expose real-time-tweakable parameters, and, as a bonus, since it's based on sockets & HTTP, I can even connect remotely so that I can use one machine (like my tablet) exclusively as my 'controller' while I develop on the other. I'm also thinking this will be great for monitoring and managing long-running universe simulations (when I get to that point, ideally sooner rather than later)! I'd even like to explore using this for asynchronous resource generation on the GPU, which is traditionally difficult to do in a single process (due to threaded GL contexts being messy). There are a whole lot of ways I can envision using even this very basic networking tech Also, of course, the tools are now there (in theory) for anyone who wants to give an LT Multiplayer mod a shot at release (in practice, good luck, I recommend putting together a team ). In the LTASM world, I did exactly what I had mentioned and hoped for last week: basic x87 floating point operations. Quite happy to have that stuff working. I've got enough to, for example, do most if not all of the basic FP math that you might do in the LT logic, although I don't necessarily have all of the opcodes for doing things in the most efficient way. Frankly, though, my first goal in this world of Plan Z is to have a script -> machine code pipeline working at all. That will be amazing enough for me, then we can worry about micro-optimization. My tests this week with FP instructions in simple loops are already blazingly-fast. I am getting a stronger and stronger feeling that this work will play a role in LT even if LuaJIT continues to hold. In fact, I can see it being a beautiful addition to LJ! LJ is basically a dynamic asm generator, why not have a static asm generator for perf-critical code? Man does it make a difference getting down to that raw level (I mean compared to something like Lua, not C/++). It's worth mentioning that I spent a good bit of time this week on other, non-coding work. This week saw an abundance of emails, real-life events, and a bit more time spent with the forum than usual. Speaking of which, I assume that most of you have seen the announcement of Talvieno as Community Manager by now, but if not, check it out Although it took a bit of time this week to write that post and get everything squared away, his new role as CM will ensure that the amount of non-coding time spent during future weeks is kept to a minimum! I'm really happy to have Talvieno (officially) on board. No, I'm not terribly impressed with this week (maybe I'm just tired right now...looking at the log, it seems fairly substantial? ), next week should see less clerical work as well as less of having to finish up things, and more of getting to start new things. 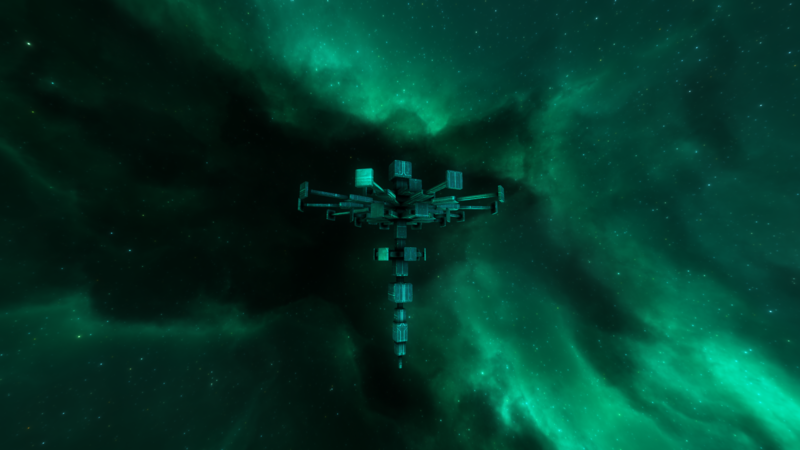 Seriously, next week I hope to see ships and stations in their full glory: PlateMeshes at 100% (rotations are definitely needed for stations), mesh warps implemented, procedural algorithms 100% ported, mesh ambient occlusion calculations 100% complete. I'd like to see asteroids as well, meaning scalar field extraction in the C core. If I have all of those things in a week, I'll be happy! I'll also have a good-looking, content-filled system, presumably. On the asm side, perhaps basic SSE functionality; let's say scalar operations at first, so that I can do the equivalent operations that the x87 FPU would do, but using the more-modern SSE (interestingly, the SSE instruction set is not just for vector processing, it has scalar (single-element) instructions as well). Until some time in the next 7±2 days...! Mesh Occlusion & Warps: 100%. All kinks in the occlusion computation are fixed. Mesh warps (spatial distortions) are now implemented and can be used to (efficiently) apply a wide variety of distortions to meshes with a single line of Lua. I also implemented parallel warps (i.e., applied at the same time rather than taking into account previous warps; not to mean parallel in the thread or SIMD sense) in a compact and efficient way, much nicer than the old. Warps are the first construct in the LT core to make use of the epiphany I had last week concerning how to make reference counting work easily in a C library, even accross the API boundary (i.e., behaving correctly with the LuaJIT GC). It's stupidly-simple and I should have thought of it ages ago. But seriously, about 12 hours ago I was not feeling nearly as happy about the state of LT as I am now. Warning: rambling about performance ahead. Even if the hours hadn't been stolen from me by heaps of minor annoyances, I would have still run into the problems that I came up against this week in trying to get some real gameplay going. Those problems, as you've probably already guessed, are actually just one problem: FPLT! Flatfingers rightfully pointed out in the comments to my last log that FPLT can't really be considered solved (or side-stepped) until we see a substantial amount of universe-wide action going on. Unfortunately, I underestimated how badly LJ has been hurting me. It became more evident once I had my assets back in. Achieving that classic LT silky-smooth 60FPS was quickly becoming an uphill battle. I'm sad to say that the LJ profiler hasn't been completely honest with me, and I'm not sure I'll be using it anymore. On Windows, I couldn't even achieve a satisfactory amount of smoothness, and I'm still baffled by how significant the LJ performance difference is between Linux and Windows (yes, I did enough of my own profiling to be quite sure that it's LJ, not the graphics drivers (and certainly not my C code )). Back to why I'm so exited right now: I worked all night implementing the entity system in the LT Core, pulling out all my optimization cleverness to make that Newton step blazingly-fast. Rendering, too -- this is something that should be handled by the C entity. Lua tells the entity what it looks like, but doesn't perform the draw loop. That's really the key theme of how we're going to defeat FPLT: we're going to pull tight loops out of Lua, because high-level gameplay doesn't happen in them. High-level gameplay happens in response to events or, at worst, in response to a low-frequency timer saying 'yo, update the economy dude.' Essentially, the C core should be responsible for 'steady-state' computations, while Lua should just be notifying the core of differentials in that state -- a force was applied to an object, a new object was spawn, a station module went boom, a trader decided he wants to navigate here rather than there. How big of a difference does this approach make? It was scary running the perf test for the first time. This is really the kick I needed. I felt that FPLT could be overcome with the right balancing of LJ and C. I think I've proven it to myself at last. I need to implement a scheduling / event / notification / trigger system to really see how beautiful I can make this. I have a feeling that the beauty of gameplay code is going to profit from these developments almost as much as the performance! Sorry, I know it was a ramble. I wish I could just do a Vulcan mind-meld with you guys so you could see all the possibilities I'm seeing right now...I've butchered it with my ever-erroding ability to use words. I'm just...really excited. This success has shown me that I was more worried than I knew about LJ being able to deal with entities robustly. Feels good to have that weight gone As usual, we must still be cautious. There are more than a few challenges left to solve. How big of a price will we have to pay when it comes to wrapping the C entities in LJ to add high-level-gameplay-related information? Frankly I don't think it will matter provided I can muster a robust event system in LT Core. But we'll still have to see. Once I have all entities, including those that require more complex rendering (a ship, for example, must render itself as well as thruster effects at a minimum, which requires much more information than an asteroid), then I'll feel even better about it. And once physics is in and working robustly....well..that'll just be the end of it. I'll be one happy gameplay camper. I know this has gone on long enough, but I do want to mention that I was serious about doing some deep gameplay thinking this week. I'm working on some potentially-major changes to the economy in LT in an effort to make things better, simpler, more fun, and more AI-friendly, all at the same time. Don't worry, I'm not talking about cutting depth. I'm talking about re-framing the way I thought of some things before. I think it's fair to say that I fell into the trap of over-complicating things, ironically, in my quest to unify them. I hope to speak more about my ideas soon once I get some more time to flesh them out and, hopefully, implement some of them. FPLT sure has been a downer, but, as with every major struggle, I think it's going to pay off. It's given me the opportunity to come back to my old gameplay concepts with a 'fresh set of eyes'...eyes that are quite a bit more practical and concentrated on the 'big picture,' if I do say so myself! The coming week will be all about getting the LT Core and LJ to fall in love and have gameplay babies. Yeah, that was a weird way of saying it. I didn't sleep last night, let's blame it on that But really, I'm so excited to see how this union comes together! PS ~ I meant to post some screenshots, just so you guys can see what the demo looks like with some 'real' assets. Unfortunately I ran off without my dev machine since I was excited to write this log. I'll try to take some shots and upload them later (in a few hours, hopefully) when I head back to the office. PPS ~ I finally learned how to use 'restrict' in C, which means I'm no longer so scared of using functions that take potentially-aliasable pointers. Yay for not being scared! PPPS ~ I worked a bit on a grammar engine (as in, context-free grammars, etc; not grammar as in English grammar) this week. Originally the purpose was for auto-generating my tedious vector math C libraries. However, one thing led to the next and it became quite a powerful tool, one that I believe might play a role somewhere in the plethora of tech being used for LT. It's certainly more powerful than a context-free grammar engine. In particular, I believe it could enable very easy crafting of domain-specific pseudo-languages without having to actually do all that technical stuff of building a compiler. Practically-speaking, I'm envisioning it as a way to write high-level gameplay code that can be mapped to Lua (or C, if necessary) and be resistant to changes in the underlying API. Kind of like how a lot of games use config files to set constants, except this would be half-way between data and code. It could also be used for dialogue generation, and, with adaptation, possibly mesh generation. We'll see. So yeah, quite a few pieces of excitement this week! PPPPS ~ For the TEDx event I did manage to get LT rendering on my new 4K, 10-bit HDR TV It's...pretty breathtaking. I had no idea how much difference the 10-bit HDR makes. It was easy to make LT compatible, since it already renders in HDR. Just had to do proper tonemapping & gamma correction and voila. Looking at the primary star in HDR mode definitely gives you the impression of "yes, that's a bright star." In general the extra contrast & brightness just makes things look incredible. Not to mention 4K making the detail look insane! Despite the underwhelming gameplay, people were generally amazed with the beauty and were very interested to learn about what they'll eventually be able to do inside of that beautiful universe! It's not a perfect resolution of the grand war against entities, but this week has brought out the fiercest practicality that I can possibly muster, and for that I think we'll all be grateful. It is time to move on, dear friends, from this monstrous black hole of time and effort. Brighter prospects lie ahead. Boss : "Build me that ECS." Boss : "Where's my ECS." Josh : "Working on it." Boss : "Get it done kid." Josh : "I have a lot of good designs." Boss : "Neat. So where's my ECS." Josh : "Well sir, currently none of them can elegantly accommodate the fact that thrusters have a key part of their rendering behavior tied to one little piece of state that should, in earnest, live on the Lua side, as it's really not 'intrinsic' to anything. Sadly, in the case of thrusters, there are enough of them that the data martialling will become problematic and result in framerate loss. On the other hand, it's difficult to see where this state should live on the C side of the system." Boss : "...that right? So...just...thrusters..."
Josh : "Well sir the general problem is likely to crop up in a few other pla--"
Boss : "It's all so...incredible. So fascinating. But see here, look Josh, let me ask you just this one thing." Boss : "WHERE. IS. MY. <expletives censored> ENTITY COMPONENT SYSTEM?" Cornelius : "You just watch yourself." Josh : "I'll be careful." Cornelius : "You'll be dead!" And there you have it. Kinematics and a few other pieces of physics-related information, along with graphical information, live in C. The rest (requiring no per-frame updating) lives in Lua. Components are Lua-side. So really, it's just an ES that lives in C...an Entity System without the components, since I decided these are, in the 90% of cases, lightweight enough to be handled by Lua without issue. And so it will be until something starts causing major issues. RenderQueues: A nice advancement necessitated by this week's ECS work was a core rendering feature missing from all previous version of the LT Engine: the 'RenderQueue.' Truthfully, the RQ type is little more than a 'modern' implementation of something OpenGL has had since the dawn of mankind (GL called them 'Display Lists'). Since modern man has decided that OpenGL's display lists were a bad choice to put in a 3D API, we've deprecated them (along with 90% of the GL API). Hence why I implemented them as a first-class engine feature (driver support for display lists, unlike with many deprecated features, actually is a problem). 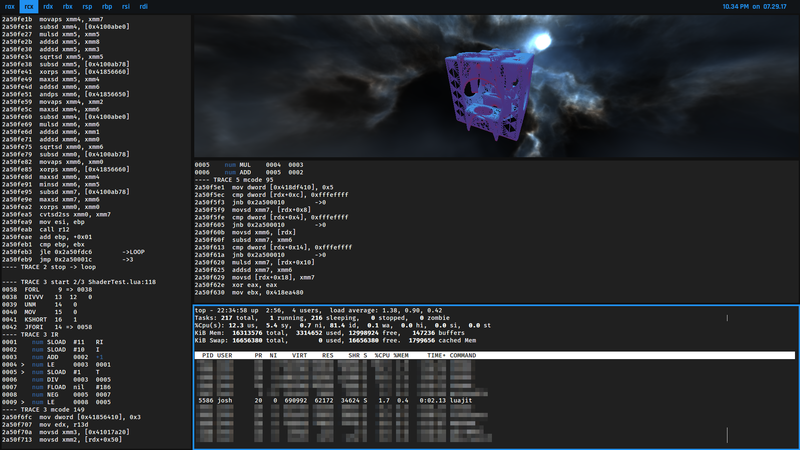 The feature is little more than exactly what it sounds like: a queue of rendering commands; essentially a data structure that encodes a miniature rendering program. This allows rich flexibility to specify rendering operations in Lua by building a RenderQueue, but allows the operations to be executed at the full, blistering speed of a tight C loop. In fact, I've some notion that, since RQs are basically implemented as mini bytecode interpreters (i.e., a decode loop with a switch statement), they might outperform my previous implementations of certain rendering operations (thanks to the fact that all of the relevant GL code is sitting right inside that hot loop; external dispatches that aren't GL calls are nowhere to be seen). But all that aside, the point is that I needed a flexible and fast way to specify rendering operations from Lua, and I've now got it. I have some dangerous notions about how we might get cute with dynamically building RQs to achieve various optimizations. I'll try to steer my mind away for now. Mods, Content, The Works: As you'll recall, my objective at the moment is to write the Lua-side LT code in 'mod' format, so as to make life easy on myself while simultaneously ensuring that I know how everything is going to come together with respect to actual mods. I've made a good many changes and simplifications to the format this week to help myself pump out that core gameplay code. I was honestly getting a little overwhelmed and turned around with my previous system of hooks and so forth. I've simplified the mod format to be much more like a 'data description,' which makes things cleaner and easier to reason about (without any sacrifice in flexibility). 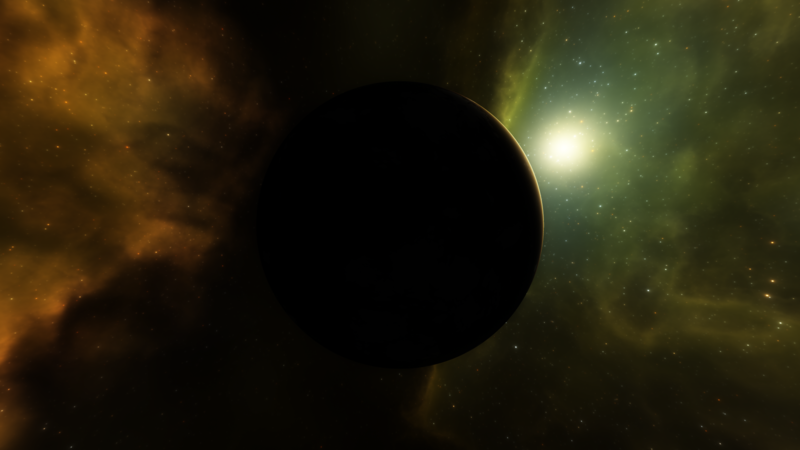 This is one thing I really love about Lua. It's a beautiful language for describing data, given that the one and only 'advanced' datatype is a table, and data is, after all, just tables inside tables inside tables. Throw in the ability to bind table fields to actual code/functions, and you've got all the power you need to build a piece of 'data' that tells the engine how to handle whatever it is that the data is defining. I now just have a 'content' sub-table within my mod description table that contains any number of entries. Those entries represent...well...the content of the mod! 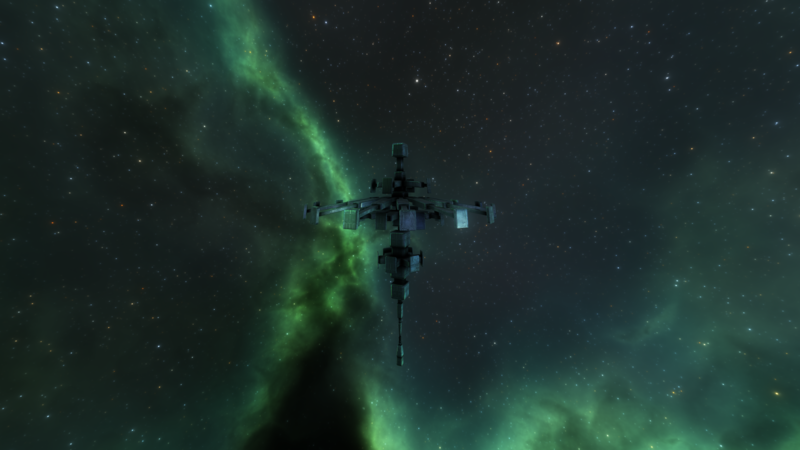 Right now, they can be entity type definitions (ship, station, planet, etc. ), event listeners (to add functionality in specific places), component definitions (define new components for use with the ECS), and miscellaneous type definitions (I'm still not sure what to call things like 'Item' and 'Corporation' and so forth...they're datatypes of course, but don't need to be handled as 'entities' by the ECS). It has a ways to go to be sure; we can certainly pretty up the syntax later. Right now I'm interested in getting all of this stuff working. It honestly strains my brain a bit learning to think in this new manner of events and handlers rather than the old, linear update logic. But the straightforward 'dumbness' of the old update logic is exactly what killed performance, so it's time I learned to man up and think asynchronously. Hey everyone! 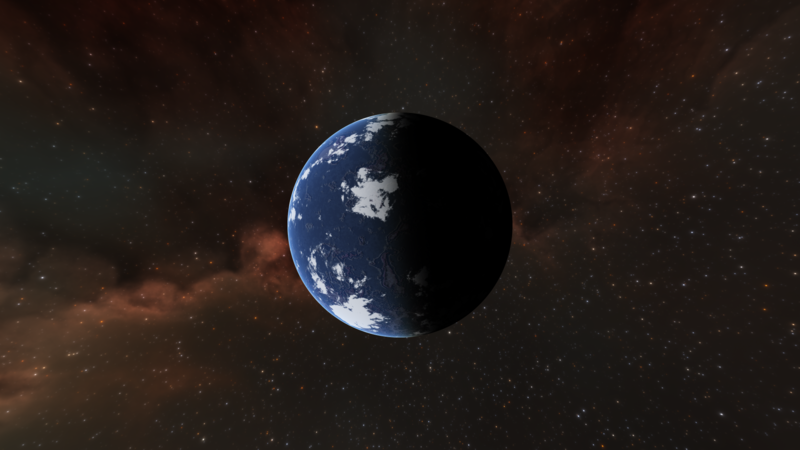 Talvieno here, with another week's edition of The Non-Technical LT Devlog. This week, Josh focused hard on the whole ECS problem and got it solved - at least to the point that it's "good enough". He now has a single unified structure with which he can handle ships, stations, asteroids, planets, and other objects. This will make implementing content much faster. OldJosh is not pleased with this development and would rather he have a complete solution, but PracticalJosh - or NewJosh - has won out here. I think this is what everyone was hoping for. RenderQueues: Exactly what it sounds like. Josh has implemented a unification of rendering commands that'll make it a lot easier to progress in the future. You can think of it like a to-do list for the engine's rendering component - the part that draws everything to the screen. Everything has its own little to-do list now, and can be modified/controlled via Lua - which means it can be modded. Mods, Content, The Works: Essentially, this is Josh talking about how he's simplified the modding format to make it easier to use. There's not really much else to be said; I think that just about sums it up. At any rate, this next week he's going to try to focus on getting the LT code up and running for another showing at Louisiana State University. tl;dr: Finished the entity component system, and set up the framework to make it much easier to add content, as he's getting to that point. Although it was, in fact, a great 'week' for progress, it was a total and complete failure with respect to my goals from last week. For that I'm thankful! LTDemo Using 'Real' Systems: Nope. 0%. This was my goal from last week, and I achieved precisely 0% of it. With the showing approaching, I asked myself...would I rather show the same thing with architectural changes? Or would I rather show something better? After all this 'boring' ECS work this month, my self-control simply wasn't there. I worked on things that I wanted to work on. And I'm happy I did...it felt good! 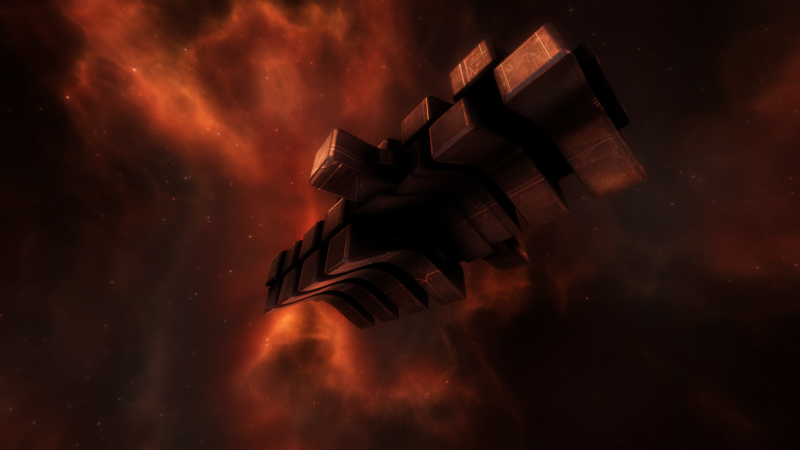 Improvements in Ship Generator + 'Fighter' Specialized Algorithm: Things were getting confusing in the demo with every ship looking (roughly) similar, regardless of scale. To that end, I sketched out a basic 'fighter' generating algorithm, which is fairly rigid at the moment, but does produce things that look more like fighters than the other, 'generic' ship algorithm. The fighter generator, although simple, is an important step in the generating algorithms: it's the first to use sub-generators for coherence. In particular, the fighter generator leverages a 'wing' generator for obvious reasons. 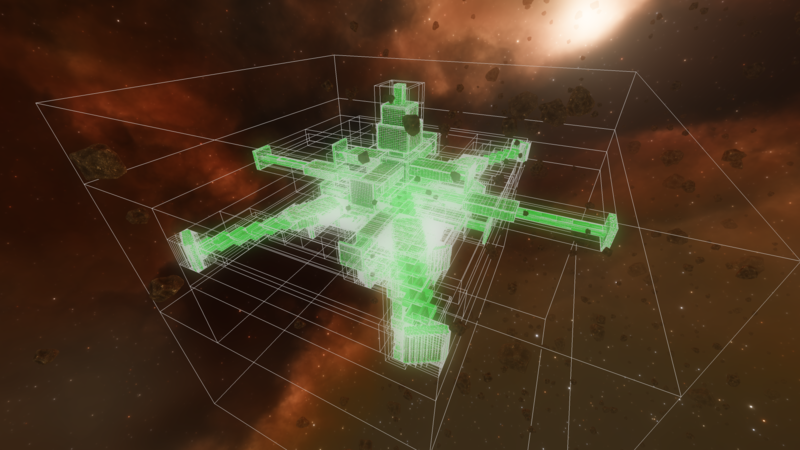 As I move toward more coherent ship generation, I expect more and more of my generating will be factored out into 'component' sub-generators. Cargo bay generator. 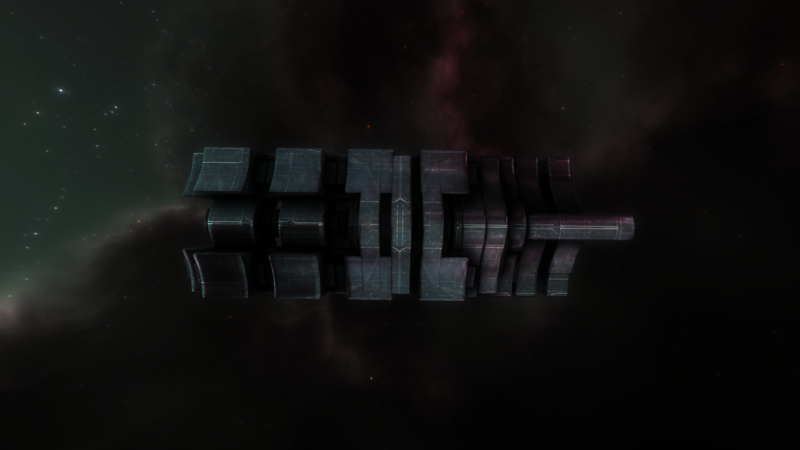 Engine generator. Cockpit generator. Solar panel array generator (station). This has always been the plan, it's just the first time I'm actually working on it (and the first time I've worked on ship algorithms in...a long time)! Factions & NPC AI: Factions were loosely-implemented in the LTDemo already, but I wanted a less-loose implementation so that I could expand the gameplay. 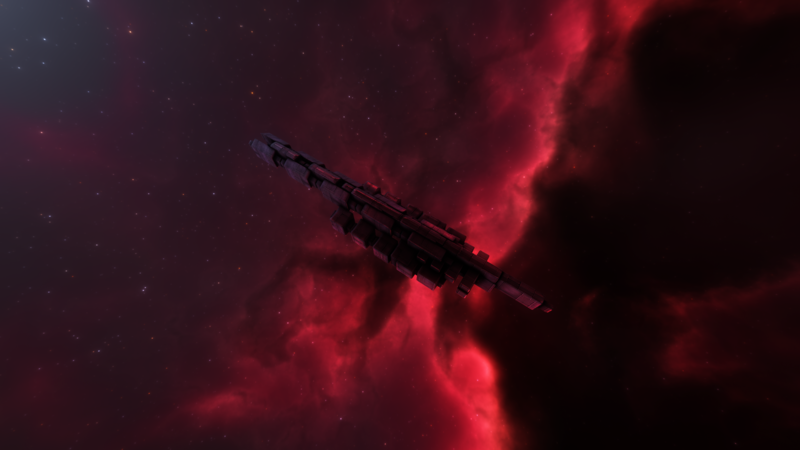 Factions in the demo now have unique ship designs, their own credit account for spawning new ships, a tech level and a spawn zone. NPC AI now (more) intelligently selects enemy targets based on distance, firepower, etc, and will of course only attack enemy faction assets. 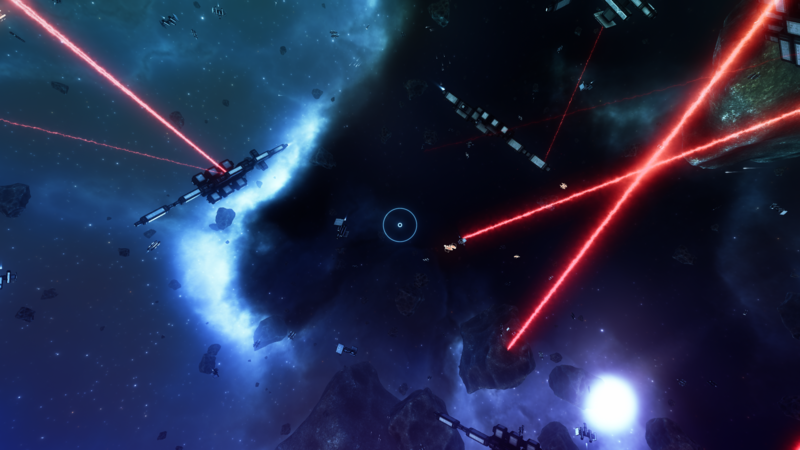 Combat AI was split up into distinct maneuvering, target selection, and firing sections, and generally improved. These additions to factions, by the way, have put me very, very close to having some awesome new gameplay available in the demo, involving growing your own faction by defending successfully against enemy attacks, purchasing new AI ships from your factional credit pool, upgrading weapon technology, etc. 'Startling' LuaJIT Investigations: For technical reasons, I haven't been able to run LuaJIT in 'verbose' debug output mode until this week. Basically to do so I needed my engine to be built as a shared library (.so / .dll) rather than an executable, which required some build infrastructure tweaks -- more on that in the next segment. Upon finally having this option available to me, I was able to acquire detailed information about the JIT part of LuaJIT. I won't explain it all, because it's highly-technical. But the short story is: LJ is currently helping me very little compared to what it could be doing. I'm basically killing much of the 'JIT' ability of LJ due to some of the things I do in Lua, meaning that most of my Lua code is being run through a standard interpreter. That's bad. And slow. It also explains my observation a few weeks ago that turning off the JIT engine didn't impact performance very much. This is actually a welcome development in my ongoing quest to harness LuaJIT. Clearly, it is not nearly as 'flexible' as I had thought. There are certain very basic things that cause LJ to abort potential optimizations. Now that I'm aware, I can do a much better job of avoiding them. I've already significantly pumped up performance of the demo by working to eliminate JIT aborts. But much work remains if I'm to get full utilization of LJ. This is good news. It also means that I will need to re-evaluate the C / Lua split. Drawing that line, as I explained before, is crucial. But if I've been operating under false assumptions about LJ performance (and I have), this might mean that LJ can handle more of the work than I anticipated. In the extreme case, it could mean I don't need any C ECS or any gameplay-related code living in C (highly unlikely). In the worst case it means everything stays the same Either way, the discovery necessitates that I move 'maximize LJ utilization' in front of 'build and integrate C systems for efficient gameplay code,' as I won't be making well-informed choices concerning which systems to build until I've mastered LJ -- or at least significantly reduced the interpreter fallbacks, which are currently happening way too frequently. Other than convenience, the big news here is that I can easily create new sub-libraries for code that doesn't belong in the LT Core, but doesn't belong in LJ either. Gameplay systems match that description perfectly! Obviously it was quite a scattered week. Big, but scattered. I'd actually like to do it again. By that, I mean I'd like another week of this. I want to improve LTDemo a bit more; write some of that gameplay code that I've been wanting to write in spite of not having it running on the 'real' C systems. I want to continue investigating LJ, because those investigations may reveal that I don't actually need to run as many things on the C systems as I thought. 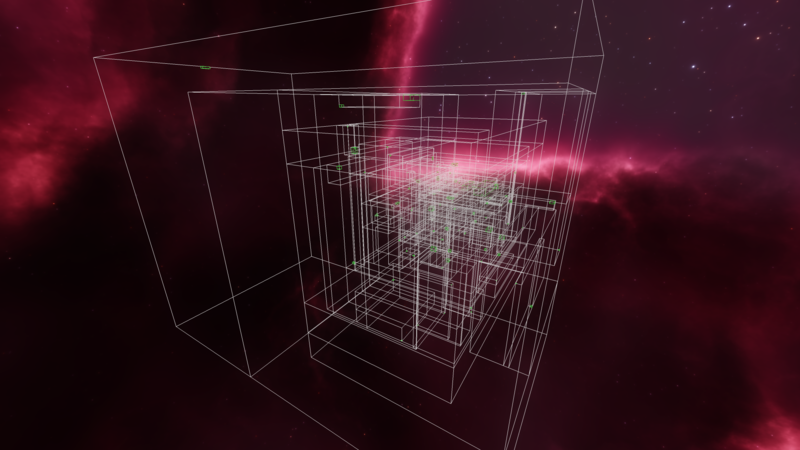 And maybe some new generating algorithms! That was fun work. PS ~ Oh yeah, and I brought back the color grading post-fx. Forgot to mention that. 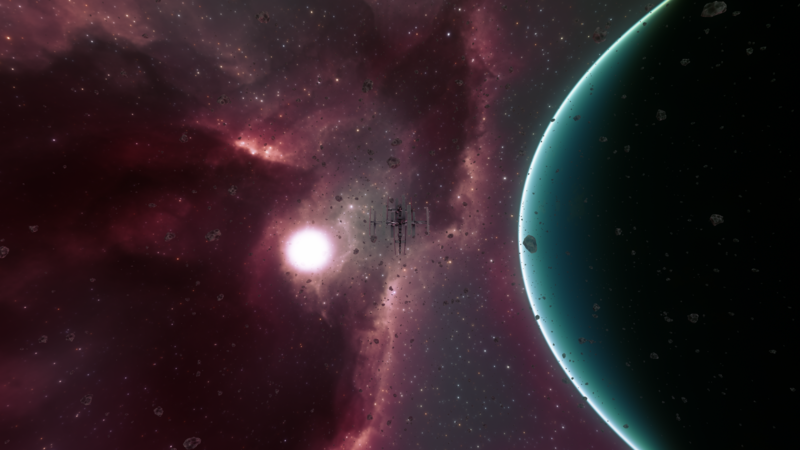 Everything's a bit prettier now (plus systems have their unique 'mood' since the grading table is generated procedurally for each system). Hello again! Talvieno here, welcoming you to this week's edition of "What the heck did Josh just say". First off, I'm going to talk about the fact that Josh is mentioning working on LTDemo. Wut? LTDemo? Not LT 1.0? Josh is off the beaten path again, isn't he? ...actually, not at all. See, in programming, putting work into a demo program means that you're also essentially putting that work into everything else that needs it: transferring working code between programs is as easy as copy+paste, and working on just what you're working at the time on lets you prune out complications and distractions. In other words: Josh may be working on the "LT Demo", but the work he puts into it ultimately goes into (and gets us closer to) LT 1.0. In the same way, Josh is working on the fighter generator first so that he can use this code elsewhere; it's a small "stepping stone" toward making beautiful capital ships. I'd like to point out, though, that Josh hasn't put much work into it so far by his own admission; he's not spending silly amounts of time on graphical elements. In fact, he's been working on gameplay elements as well. LT now has working factions, and the AI has greatly improved. Going forward, he may now merge everything into the new and improved "LT 1.0"... or he may continue doing what he has been. He's at the point where he could go either way. More on that in future updates. Regarding LuaJIT: Essentially, what all of this mumbo jumbo means is that Josh isn't using LuaJIT to its true potential, and he plans on rectifying that to squeeze as much performance out of it as possible - which means a more interactive, immersive, living world for us. tl;dr: Josh has been working on performance improvements, and re-implementing gameplay. We're getting back to where we were before - but at an acceptable frame rate this time. Although there haven't been that many major visible changes, I figured I'd make a gallery for this week's log anyway. 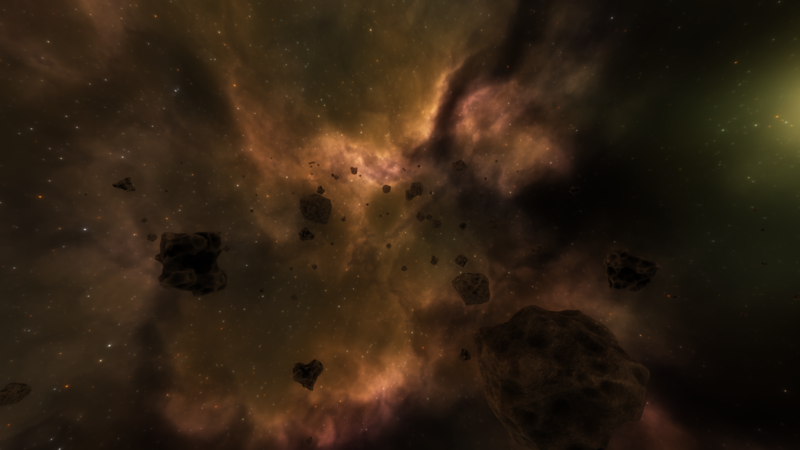 Main new things to notice are the per-system color grading, fighter ships, and beam weapons. Already said it, pretty much. phpBB3.0 -> 3.2. Pain. Database migration. Pain. Old style did not support the new version (or vice-versa). Had to find new style that looked decent and close enough to our old one that it wouldn't shock and terrify everyone too badly (trust me, prosilver, the default theme, would shock and terrify you all; no one would touch the LT forums ever again ). Pain, time. Time. Lots of time. LT-side, minimal stuff going on. ECS wrap-up delayed, but still feel good about it. Worked quite a bit at getting a very simple graphical API for Sean to use for simulations. Not much fun watching console output all day for simulations! Especially if you want to get into the low-level AI like dogfighting...and he does. Sean and I spent some time this week talking about how the 'low-level' AI systems work (i.e., the AI that executes specific actions that are directed by the high-level AI). He's very eager to get working on some of this stuff like combat maneuvering, obstacle avoidance, pathfinding, etc. Unfortunately, with things rather in-flux on the Lua side due to the migration to the new ECS, we don't have a great way to do 'simple' visualization tools that aren't in C (like the ones Adam is using for BSPs). That's not at all ideal, since Sean is working in Lua and we want to keep it that way. Thankfully, as of a few hours prior to writing this log, I've finished building a very simple visualization tool that will let him write visual simulations. I'm very excited to see what we can dig into come tomorrow I anticipate the coming week being an interesting one for AI!! Apologies for the brevity, but time is in remarkably short supply at the moment while work is in remarkably high supply. Send us all your positive vibes for this week -- with luck we'll be nailing low-level gameplay systems, physics, and AI all at the same time! A week later he's got a fleet of ships following a leader, in formation, through a dense, heterogeneous asteroid field, and it's looking pretty awesome as they break formation to avoid collisions, then form back up when the field allows it. Very cool stuff to see. Once more, I envy Sean for the work he's getting to do! I can't wait to see this maneuvering code in 3D with real ships (right now it's quite graphically-limited by the sandbox). Hello hello everyone! 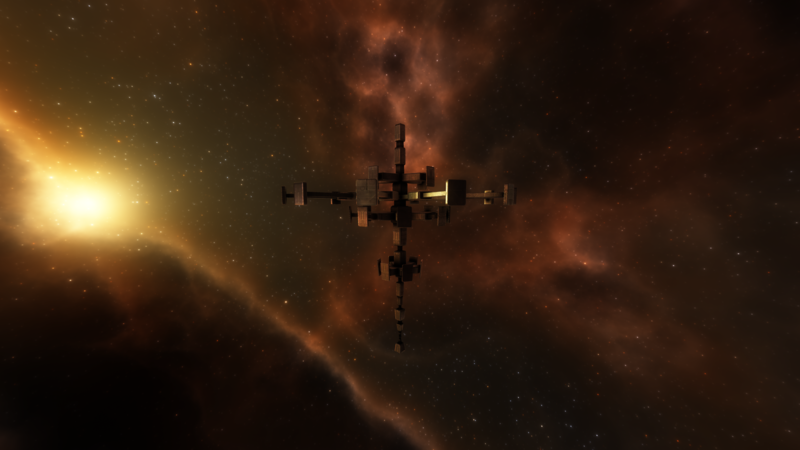 Glad to be back to the devlogs. Let's hop right in. It's going to be a long one. It was a tremendous week. With Sean and I back in the office (and me particularly energized and ready to get back to LT after the stress of teaching), we were already in a position to have a good week. But several major happenings upgraded it the past five days from good to awesome. This week's award for MVP goes to Adam, about this there can be no question. Before my three-week teaching leave, I set Adam to the task of studying distance field surface extraction techniques and finding out if there were any good, open-source implementations out there that would allow us to upgrade our distance-field-based mesh pipeline. If you've been following the logs for a long time, you've definitely heard me talk at lengths about distance fields (SDFs) and my various adventures with them. 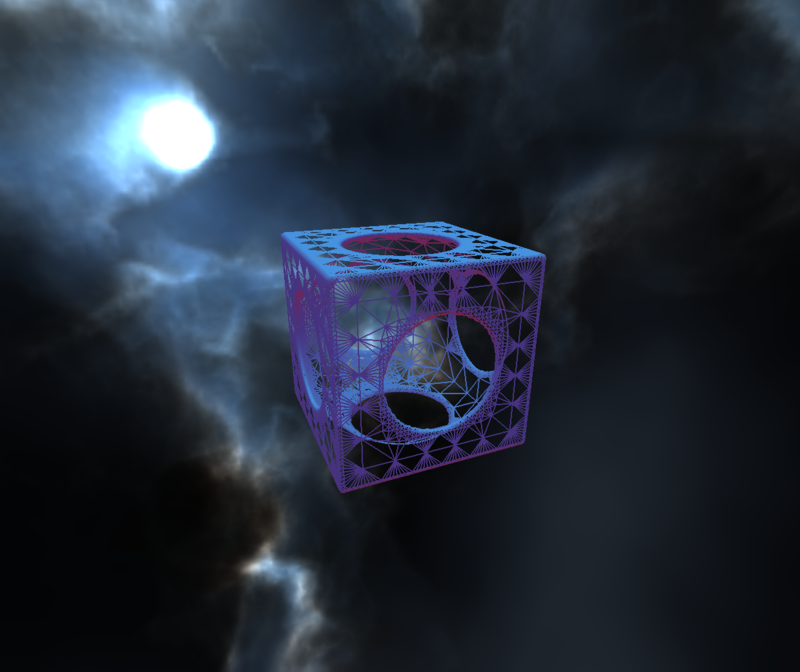 The LT Prototype used SDFs as the exclusive means of generating meshes. 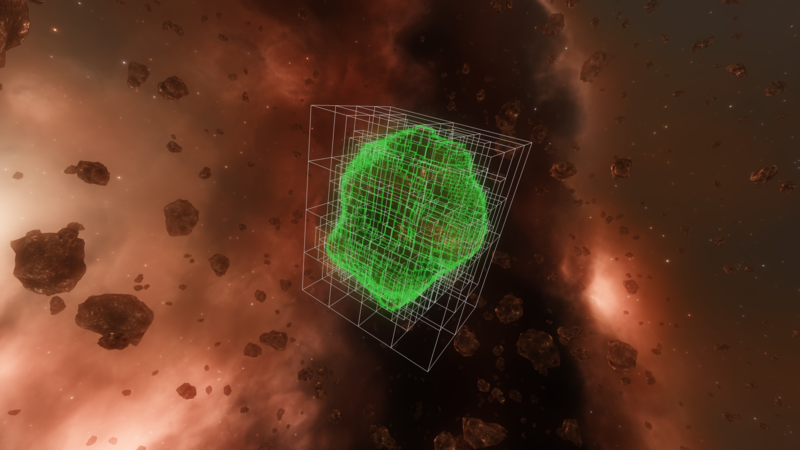 Today, they're used for non-artificial constructs like asteroids, while BoxMeshes (the new PlateMesh) are used for ships, stations, and components thereof. 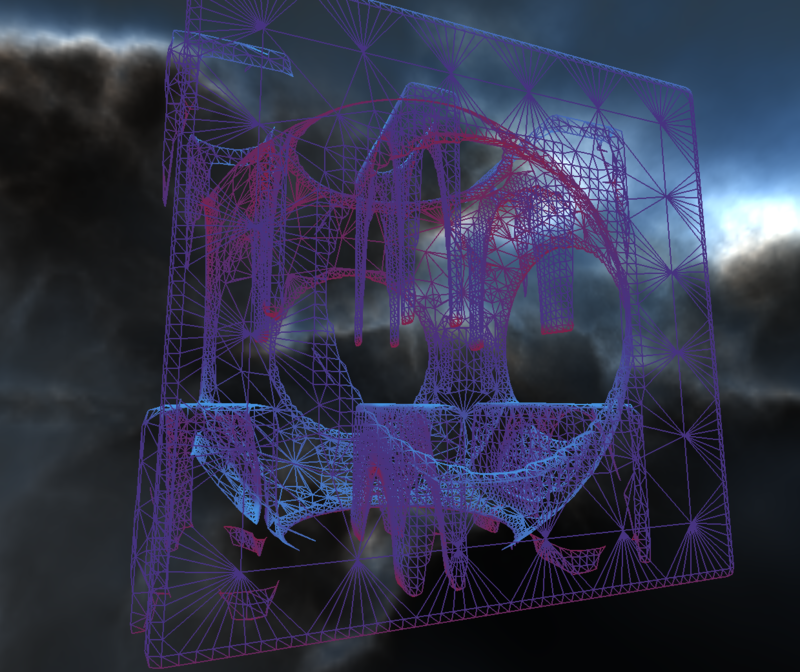 Generating meshes from SDFs is a very difficult problem. I've implemented two algorithms for doing so -- marching cubes and surface nets, and currently use the latter to generate asteroids. Both of these are 'naive' algorithms in that they're just about as simple of a solution as you can possibly find. Despite that, they're still quite difficult to understand and implement (SN more so than MC). Adam not only succeeded in finding an open-source library that has the functionality we need (and more), he also went through the struggle of figuring out how to build, test, use, and evaluate the quality of the code therein. This week, he was able to show concrete timings and outputs that proved the library capable of performing adaptive, high-quality surface extraction with great speed. This week, Sean dove deep into AI combat. He's set up a combat sandbox that can run really fast combat simulations and provide us with information about the performance of different combat AIs. At the most basic level, we can run head-to-head dogfight simulations between two AI ships using two different algorithms and determine which is superior (in particular, we can determine the win rate of both ships under randomized starting conditions). As for me, I've been at the helm of Lil'T development this week, trying to get it all to a point where everyone can start working in the same place. Practically-speaking, it means that I have to have 'the way we do things' locked-down in all departments. I've had some really great success in doing so this week! So, you're all aware that we've struggled with FPLT in the past, but that LuaJIT + high-quality C systems have proven capable of yielding beautiful performance. As I've expressed before, the only caveat is that one must tread lightly with LJ in order to reap that performance. A single mistake in a tight loop will cause LJ to abort the compilation of something that may run far too slowly in the interpreter. I had previously discovered that my code for LTDemo was doing exactly that, and getting almost none of the benefits of JITing (ouch). This week, while building the Lua base of Lil'T, I had to methodically tackle each of my previous mistakes and figure out how to do the same thing without making LJ angry. All-in-all, this week was one of the best weeks in recent memory for LT development. Even as I woke up today, I felt more at ease than I've felt in quite a while. 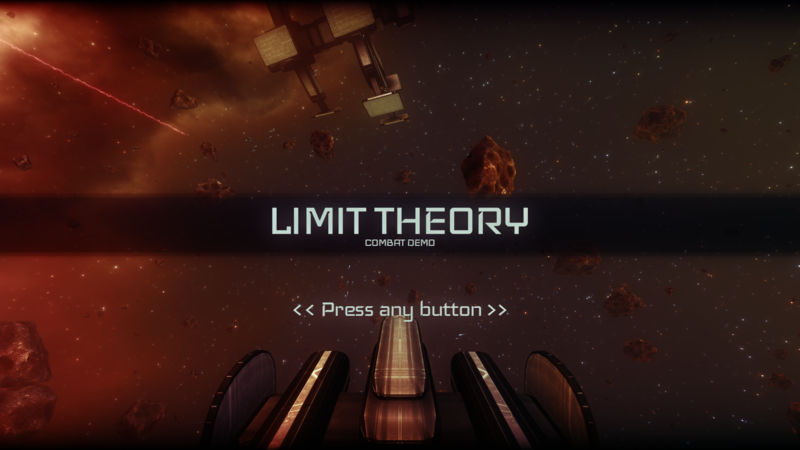 We've come so far with solving so many hard problems that lie at the very heart of Limit Theory's feasibility, and finally, after what feels like an eternity, the road ahead is clear. Mandatory shot of me being a l33t hacker with all my LuaJIT assembly dumps. Notice LJ is taking almost no CPU and minimal memory. Possibly because there's very little happening...still impressive, though. The gallery is here (although you've basically seen them all now).